When does YIM 2016 begin? FOR PDFs: If you have been selected for the YIM as a Post Doctoral Fellow (PDF), you are expected to attend the meeting between 27th February 2016 and 2nd March 2016. Please check the schedule page to determine what time the meeting starts so you can book your tickets accordingly. FOR YIs: If you have been selected for the YIM as a Young Investigator (YI), you are expected to attend the meeting between 28th February 2016 and 2nd March 2016. Please check the schedule page to determine what time the meeting starts so you can book your tickets accordingly. If you are a mentor, institute director or funding agency representative, you will be informed of your required dates of attendance by email. When does the meeting end? YIM 2016 ends after lunch on 2nd March 2016. You are welcome to leave anytime after this. We do not provide accommodation on the night of 2nd March. Should selected participants attend all days? All selected participants are required to attend all days of the YIM. Participants who cannot stay for all days are requested to decline attendance. What topics will be covered at YIM 2016? While PDFs and YIs will be presenting science at the YIM and receiving feedback from their peers, Mentors and Directors, the YIM is more than a science meeting. A number of sessions will focus on jump-starting your career in India, and strategies to overcome common issues faced by young faculty. PDFs - Post-Doctoral Fellows who are looking to apply for jobs in the coming year, and who think they will benefit from meeting Directors of Institutes that are hiring. Early-stage PDFs are not encouraged to apply, as the meeting will not be useful for them. YIs - Principal Investigators with jobs in India who are 1-8 years into their careers can apply for the YIM. The YIM is a unique meeting, being a blend of science and career discussions. For PDFs looking to start independent careers in India, the meeting is an opportunity to meet several Directors in one place. Your CVs will be circulated to them in advance of the meeting and you will have the opportunity to meet with them one-on-one to discuss your careers. For YIs who have established themselves in the Indian scenario, the meeting provides a space to discuss strategies to boost productivity and deal with issues. Its also a space for all attendees to get to know their peers in the life science profession in India. What are the opportunities for networking? Several hours each day are devoted to poster sessions and break out sessions, which are prime networking times. PDFs will also have a dedicated session with Directors. Also, since this is a residential meeting and all attendees will be at The Heritage for five days, we encourage you to initiate discussions with your peers, the mentors and others at the meeting. The Mentors have dedicated 5 entire days to this meeting, and we urge you to interact with them about their early careers and yours. How do I maximise my output from the YIM? By networking, engaging and participating in sessions! What is the Code of Conduct for the meeting? YIM 2016 is a conference focused on networking, mentorship and scientific exchange. We value the presence of every attendee and want everyone to have a rewarding experience at the meeting. All attendees are therefore expected to show respect and courtesy towards others through the meeting. All attendees are required to follow the Conference Code of Conduct, outlined here. How can one apply to attend the YIM? All PDF and YI participants at the YIM have to fill out the application form and get through the review process to get selected for the YIM. The application process for YIM 2016 is now closed, and the results have been announced. The only other participants at YIMs are invited and fall into the categories of Institute Directors, Mentors and Funding Agency representatives. No walk-ins attendees are entertained at YIMs. Please visit the schedule page for more details. When are the poster sessions? Please visit the Program page for more details on PDF and YI poster sessions. I cannot attend the meeting? How should I cancel my participation? We request you to let us know well in advance if you cannot attend the meeting. This will provide a spot for waitlist participants. Can I transfer my spot to my friend or colleague? It is not possible to transfer your spot. The selection of attendees is made based on individual applications. We will have participation certificates to hand out at the event to those who require these. When will the next YIM take place? 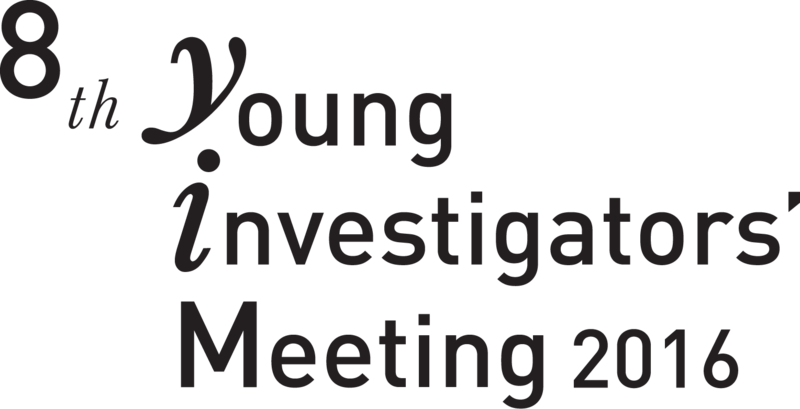 The Young Investigators' Meeting will be held once in a year, usually in the month of February or March. The call for applications open beginning of August 2016, for the YIM in 2017. The meeting will be held in Heritage Resorts and Spa, Manesar which is about an hours drive from Delhi. Where I can find more information about the hotel? Do I have to reserve a room myself? No, the organisers will take care of your room reservation. Where is the accommodation? Do I have to share rooms? PDFs and YIs are expected to share accommodation. On 27th, PDFs will be paired with each other, and from 28th onwards a PDF and a YI will be paired together in a room. If you are attending the YIM with your spouse or partner, please email us at yim2016@indiabioscience. When should I arrive, and from which date will YIM provide accommodation for me? PDFs: You are expected to arrive on 27th morning, and accommodation will be provided to you at the conference venue from 2:00pm (check-in time) on 27th. If you choose to arrive earlier than this, we request you to make your own accommodation in Delhi. YIs: You are expected to arrive on 28th morning, and accommodation will be provided to you at the conference venue from 2:00pm (check-in time) on 28th. We will arrange shuttles from Delhi Airport to the venue. Once we have your travel times, we will assign you to a shuttle appropriately. At the airport, there will be representatives from the YIM 2016 to guide you. What will be the temperature in Manesar during the conference? It is likely that the temperature will be 26°C max and 11°C min. You can check www.accuweather.com for more details closer to the event. While most of the conference will be in a heated conference hall, some events will be in semi-outdoor spaces. We request you to bring enough warm clothes to be able to participate in events comfortably. If you have specific requirements, please get in touch with us so we assign you a convenient room. Will child care be provided during the conference? There is no child care facility at the venue. Is there Internet/wifi access at the Venue? The entire hotel will have complimentary Internet/wifi access. We will provide details of the same on your arrival. I am bringing my family with me to Manesar. Where will they be accommodated? I am bringing my family with me to Manesar. Will there be activities for them to enjoy during the conference? YIM 2016 does not have specific activities designed for guests or family members. Family members will not be allowed to sit in on sessions at the YIM, or participate in meals. The YIM is a closed conference, by invitation only. There is plenty to see and do in Delhi and surrounding areas. Contact your hotel concierge to help you plan activities and day trips during your stay. I have an allergy or specific dietary restriction. Whom should I contact? We will do our best to accommodate your dietary needs. Please contact us by email at yim2016@indiabioscience.org by February 1st, 2016. New Delhi International Airport is the closest airport. Manesar is around 30 km from the airport - a travel time of about 45 minutes to 1 hour, depending on traffic. By what time at the latest do I have to reach Manesar? The PDF sessions on 27th begin at 3:00 pm, and we recommend that you fly into Delhi in the morning. Will there be transport arranged from Airport? We will arrange shuttles from Delhi Airport to the venue. We have assigned you to cabs/shuttle appropriately. At the airport there will be representatives from YIM 2016 to guide you. Air India, Jet and all international flights fly into Terminal 3 (T3) while Indigo, GoAir and SpiceJet fly into Terminal T1C. Your pickups have been arranged according to your flight times and terminals. PDFs who fly in on 27th and YIs who fly in on 28th will be assigned shared cabs around the time of their arrival from T3 or T1C accordingly. Please find your names in the shared cabs list shared with you by mail. I am making my own travel arrangements from within Delhi, or nearby. I will not be flying or taking a train. Timings and start points for group shuttles from Delhi will be announced closer to the date of the YIM. This depends on the details you fill out in your travel forms. If you wish to separately take a taxi to the venue, you are free to do so, but we will not be able to reimburse this expense. I am arriving on an international flight, one or more days before the event to Delhi. What do I do? We suggest you arrange for your own accommodation in Delhi before 27th, and come to the shuttle point (Government Airport Pre-paid Taxi Booth) in Delhi on 27th at the appointed time if you need travel assistance to the venue. The shuttle time is 12 noon. I am an international attendee, not a citizen of India. How do I obtain a formal invitation letter to submit with my visa application? Please email us at yim2016@indiabioscience.org at the earliest. My visa application was denied. What should I do? Please contact the Conference Team by email at yim2016@indiabioscience.org as soon as possible. Yes, we reimburse part of your travel, according to your attendee category at the YIM. Support for PDF participants: From the United States or Australia: maximum of USD 500 From Europe: maximum of USD 300 From South Asia: maximum of USD 150 or the actual amount, whichever is the lower amount. From India: maximum of Rs. 12000/- or the actual amount, whichever is the lower amount. Support for YI participants: From India: maximum of Rs. 12000/- or the actual amount, whichever is the lower amount. Support for Mentors, Directors and Others: We will communicate by email with Mentors, Directors and other attendees about travel support. What is the mode of reimbursement? We will reimburse via wire transfer only. This details of your account should be provided while filling the travel details in the travel section of your dashboard online. We shall reimburse you after the conference. What supporting documents I should provide for reimbursement? We request you to submit your onward journey boarding pass when you are at the venue so as to facilitate your reimbursement. Prior to attending the event you will be required to fill out the travel forms and attach your ticket and signed bank details form. These are essential for reimbursements. I need to submit the onward boarding pass to my host institute. What do I do? We require a copy of your onward boarding pass and the original return boarding pass to reimburse your travel. Please discuss this with the IndiaBioScience team at the YIM. Whom should I contact for inquiries regarding reimbursement? I am interested in exhibiting at the conference. Whom should I contact? I am interested in advertising opportunities. Whom should I contact? Should I submit the abstract for the poster? The Abstract submitted with the application is sufficient. If we think any changes have to be incorporated, we will write to you. I am unable to upload a photo with my application? What should I do? Recheck the size and format of the photo and try to upload again. Please upload good quality photos. If you have trouble email us at yim2016@indiabioscience.org . The photo will be used in the Abstract book, part of the registration kit for the meeting. What are the different forms of presentation at YIM 2016 for PDFs and YIs? This year we will have PDFs and YIs presenting Posters, Lightning Talks and Regular Talks. POSTERS: All attendees, both PDF and YI, will be required to present posters. LIGHTNING TALKS: All PDFs will be required to present Lightning Talks on February 27. YIs are not required to present Lightning Talks. REGULAR TALKS: 4 selected PDFs and 2 selected YIs will give regular talks during the meeting. Details of the names can be found in the schedule. What are the guidelines for Poster Presentations? All PDFs and YIs are required to present posters at the meeting. All PDFs will also be required to give Flash Talks during the PDF meeting. Details of this can be found below. In addition, 2 YIs and 4 PDFs have been selected to give regular length talks at the YIM, and they will present posters in addition to giving a short talk. You can check the times for poster presentations on the YIM 2016 Schedule page. SIZE: Poster size A0 (33.1 inches x 46.8 inches) with portrait orientation only. Since the poster board is approximately 4 feet (48 inches) high by 3 feet (36 inches) wide we cannot accommodate A0 size posters with landscape orientation. AUDIENCE: We advise you to design your poster keeping in mind your audience - institute directors (for PDFs only)--who will judge you as a potential faculty applicant, mentors--who will give you feedback and advice and might even be collaborators, and peers (YIs and PDFs)--potential collaborators and future colleagues. Do keep in mind that this is a mixed biology meeting, and many in the audience will not be experts in your subject. CONTENT: As in typically academic posters we suggest you follow the Introduction, Methods, Results and Conclusion format if you are presenting a study in progress or one that is completed. You could otherwise present a proposed research direction you want feedback on, if you have a young lab. In either case, we advise you to add a short section called "Future Directions" that explains the directions you want your research program or group to take in the next few years. Should I get tags or pushpins for my Poster? Pushpins, tape and tags will be provided at the venue. When should I display my Poster? It would be best to put up your poster as soon as you have checked in and settled into your room. PDFs are required to put up the posters before the first session on February 27, or before sessions on February 28. PDFs will need to take down their posters by the end of February 28 or latest by the morning of February 29. YIs are expected to put up their posters before the start of sessions on February 29. All poster boards will be numbered. The number corresponds to your number in the YIM 2016 abstract book that you will be given as you check-in at the YIM 2016 registration desk. What are the guidelines for Lightning Talks? This year we are allowing opportunities to all PDF participants to present their research in Lightning Talks, each 2 minutes in length. Lightning talks will be presented by all PDFs on the evening of February 27. We encourage all PDFs to use the Lightning Talks as an advertisement of their research and to use the 2 minutes to attract Directors and other attendees to their posters or to secure a second meeting. SLIDE: PDFs are strictly allowed only one slide each, and we suggest this one slide contains the following information: your name and a quick summary of your research - salient points (question & results) or simply a reproduction of your poster if you think your poster conveys it best. However, do remember that the poster will typically be of a different size and will probably be too illegible to read on screen, and it might not be the best way for you to sell yourself and your science. A sample slide will be posted on the FAQ section soon. We encourage people to present research ideas, or works in the early stages of development, or first passes of ideas. PRESENTATION: Presentations will be in alphabteical order and a bell will be rung at the end of your 2 minutes. During your two minutes, present yourself and your work in an "Elevator pitch style". A concept borrowed from the business world, this is a brief, rehearsed statement that describes why someone should hire you or pay attention to your work. Keeping in mind that there are potential employers in the audience, we suggest the following key points for an effective pitch: 1. Write down, edit and practise your pitch. Keep it concise. 2. Introduce yourself (typically name, position & affiliation). Then quickly go on to pose a question or state a research problem. 3. Describe what motivated your study, and any the unique approach or insight. 4. Remember that the pitch is the start of a discussion, and not the final word on the matter. If you must present results here keep it brief. 5. Stay casual - the wording and delivery should be conversational. 6. These are key--your descriptions should be a high-level overview, not an unravelling of details. Speak in the active voice, not passive. REQUIRED: You are required to email your one slide to yim2016@indiabioscience.org by February 22, 2016. Please use this format for the subject line of your email: Lightning Talk FirstName LastName. Label your slide in the same manner (Lightning Talk FirstName LastName). This will greatly help us in compiling the slides prior to the event. You can send your slide as a PPT, PDF or Keynote Slide. What are the guidelines for Regular Talks? Four PDFs (Anil Kumar, Jahnavi Joshi, Jose Sebastian, Pushpa Verma) and two YIs (Gitanjali Yadav, Sharmistha Majumdar) have been chosen to give full length talks at YIM 2016. Details of the talk timings cna be found on the YIM Programme page. These talks are to be 15 minutes long with 5 minutes for interaction and questions. 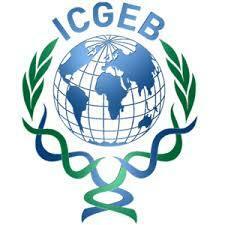 Your presentation has to be submitted to the organisers (IndiaBioscience team) at the registration desk on 28 February. The file can be in PPT, Keynote or PDF (recommended for stability) formats.